Blaise Rybeck (Howell) is an L.A. private eye in true Raymond Chandler/Mickey Spillane/Dashiell Hammett style. Working with his assistants Gary Snider (Seder) and Sally (Griffin), Blaise generally gets into all sorts of scrapes tailing dames while smoking cigars and drinking cocktails in his fedora and trench coat. One day, a classic femme fatale walks into his office, Emma Roussell (Ward) and before long Blaise is trapped in a web of intrigue surrounding a mysterious flight school and a crew of bungee jumpers led by the thuggish Moe (Welliver). Of course, the main antagonist is Johnny “Axe” Roosevelt (Kober), and it’s going to be quite the clash once he and Blaise face off. It’s great that PM gave C.Thomas Howell a chance to direct, as the resulting film is a pleasantly different one for their canon. Howell is cooler-than-cool in his P.I. mode, and his talent really shines both in front of and behind the camera. Howell and PM did a really interesting thing here - Blaise and his crew wear 1940’s-style clothing and his office has that same kind of decor, and there is plenty of great old-timey lingo and jazz music as well, but it works as an unexplained anachronism, as the movie is set in the present day, with cell phones and other trappings of modern life somehow intermingling with this Film Noir style. We thought that was really cool. Of course, even though this film is different in many ways, perhaps PM thought their fans would be confused if there weren’t blow-ups, car chases, car flips, beatings, shootings and the like, so they’re all present and accounted for. For some reason the annoying Kathy Griffin is here as Sally, perhaps continuing the role she played on Seinfeld? 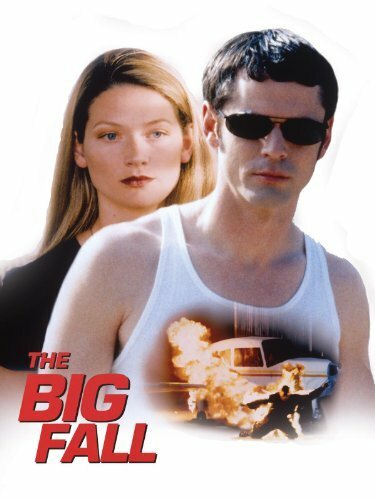 Sophie Ward is very Gwyneth Paltrow-like as the eye candy, and the underrated Jeff Kober could be the brother of Willem Dafoe. Speaking of underrated, Titus Welliver almost steals the movie as Moe. He really should be more well-known, as he is a talented actor. The movie is a well-written and executed mystery thriller where yesterday meets today, and the personality of C.Thomas Howell is the glue that holds it all together and makes it work. 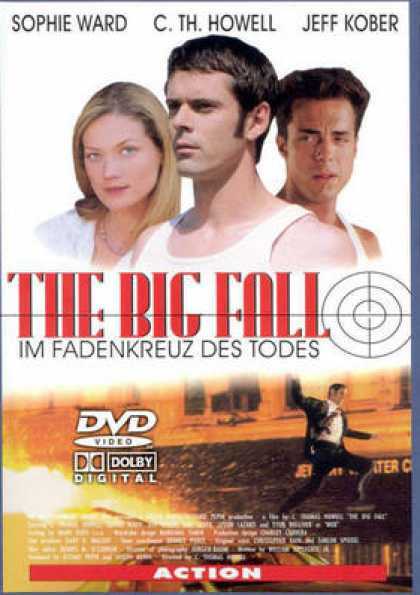 The Big Fall is recommended. Cast was pretty good(I even liked Griffin, and i'm not a fan of her stand-up material at all) but I think Howell's first directorial effort "Pure Danger" was a superior film, this one just seemed to drag on occasion, it's a decent film, but IMO not in PM's upper tier. Always wanted to see Pure Danger. The Big Fall is decent. It is tough to beat the C. Thomas PM Classic The Sweeper though! I don't remember this one but I loved Howell in "Kid". He was great in Kid! Will have to re-watch that one again. Is that an image from MISSION IMPOSSIBLE on the cover? Haha, it does look like it! Nope, just C. Thomas jumping over some cars from the opening sequence. Great stuff! I'll have to check this one out. Are you following C. Thomas Howell on Twitter? You should! He retweeted my review of Amazing Spider-Man and he is very appreciative of his fans! Thanks! Will have to start following him! Liked his role in The Amazing Spider-Man. He did a good job.